With Fall right around the corner, it is hard to avoid the increasing reminders of the immenent -back to school- transitions ahead. For many youth, this season of change leads to many uncertainties about friendships, fitting in, finding their way in new schools, or moving off to college. 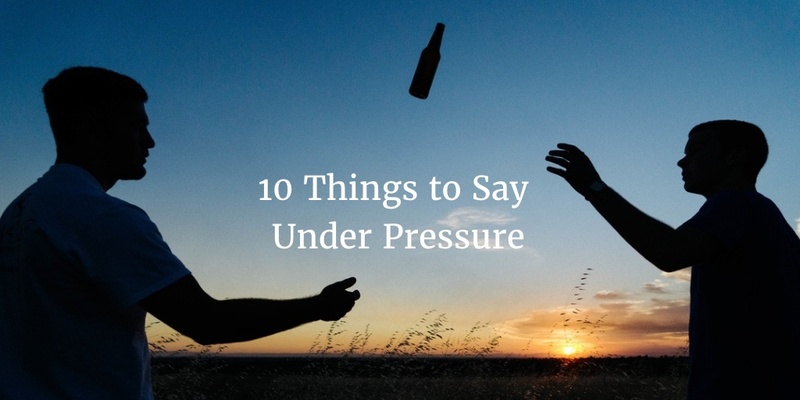 As the stress of the unknown builds, or even pressure to make the most of what's left of their "freedom,"
and share that view with your family. We encourage you to utilize the resources below, and remember, you never have to face the challenges of raising teens alone. In YSB Chemical Awareness Programs, we discuss a variety of perspectives from youth, and parents- including underage consumption. These are important conversations, as many decisions are being made based on myths, vs facts. MYTH: I can’t get in trouble if my child hosts a party and serves alcohol without my permission or knowledge. alcohol, regardless of who supplied the alcohol. The age limit for alcohol is based on research which shows that young people react differently to alcohol. Teens get drunk twice as fast as adults, but have more trouble knowing when to stop. Teens naturally overdo it and binge more often than adults. Enforcing the legal drinking age of 21 reduces traffic crashes, protects young people’s maturing brains, and keeps young people safer overall. Some parents say, “They’re 18, I can’t tell them what to do anymore.” True, they’re not little children anymore, but your attitudes and directions still matter enormously. When we asked a group of fourth-year college students, “What were the most important influences in helping you achieve what you have in college,” their number one answer was “My parents.” So parents take heart: your voice still matters, perhaps more than you realize.